40 Years Later: Was 1978 The Greatest Year In Music? : World Cafe With a list of debut albums from Kate Bush, The Cars, Devo, Dire Straits, The Police, Buzzcocks, Van Halen and more, '78 has huge ground to stand on. 40 Years Later: Was 1978 The Greatest Year In Music? 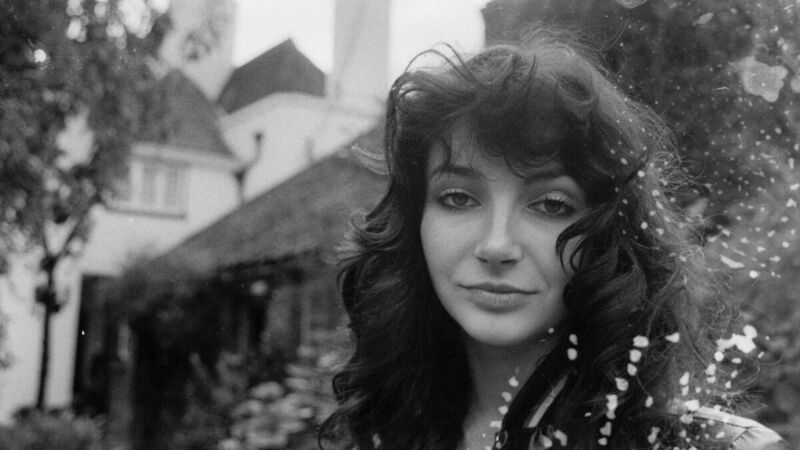 Kate Bush at her family's home in London in 1978. Imagine you're at a party with your most favorite music geek friends. The conversations range from favorite new albums, and favorite Smiths or Belle and Sebastian B-sides to best Neil Young guitar solos and Drake features. Then comes the big one: What was the greatest year in music? That's a question that we discuss and debate regularly in the World Cafe offices. Almost a year ago, we asked the question, "Was 1967 the greatest year in music?" There's quite a good argument to be made for it, musically and culturally. But now, as we stare into the way back machine, we're taking the opportunity of the 40th anniversary of 1978 to ask the question, "Was 1978 the greatest year in music?" In '78, Grease was the word, The Village Voice named This Year's Model by Elvis Costello as the album of the year, Kate Bush, The Cars, Devo, Dire Straits, The Police, Buzzcocks and Van Halen released their debut albums. The Clash delivered their powerful Give 'Em Enough Rope, The Boss dropped his classic Darkness on the Edge of Town, The Rolling Stones returned to peak form with Some Girls, Warren Zevon's perennial favorite Excitable Boy and Patti Smith's commercial hit Easter were all over the radio. Blondie released two albums, The Doobie Brothers' released their yacht rock classic, "What A Fool Believes," Marvin Gaye released his divorce record, Here, My Dear, and Cheap Trick rocked one of the great live albums of all time. 1978 was a swirling mass of genres; disco, punk, funk, R&B, rock, and New Wave all banging beautifully into each other as the seeds of hip-hop were being sown, ready to take on the world in 1979. Listen to our Spotify playlist of some the most enduring and endearing music from 1978.